Comment: I have a 69 mobile home, requiring new windows. I am not sure by from my experience I don't think we have the bacis standard size windows. Comment: This is an office that currently has a glass window that cannot be opened. We need to install a sliding glass window such as the ones you find in doctors offices. 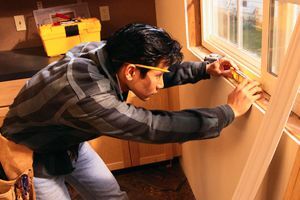 San Dimas Window Replacement Companies are rated 4.66 out of 5 based on 474 reviews of 23 pros. Not Looking for Windows Contractors in San Dimas, CA?